"Graduates and Guests in the Pews, Commencement ca. 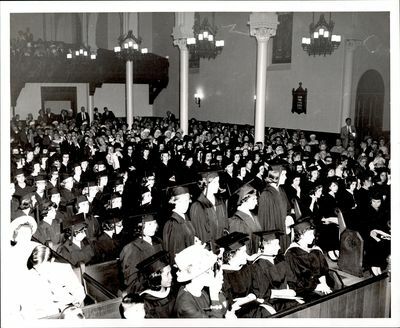 1960s"
Graduating students and guests sit in the pews of a Chapel. The former are heavily concentrated in the front of the room, while the latter are seated toward the back and off to the sides.